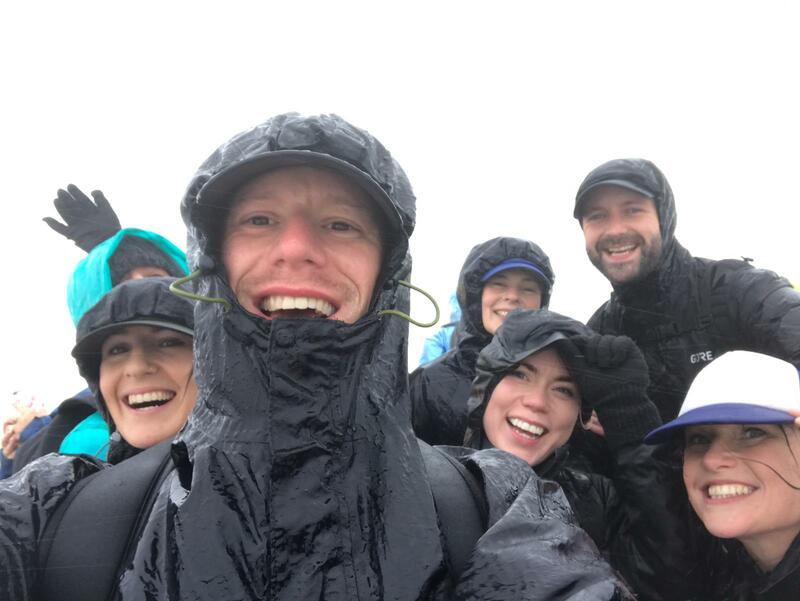 On 8 September 2018, to mark my one-year ‘cancerversary’, seven friends and I decided to climb Mount Snowdon. I really wanted to do an outdoor activity, to prove to myself that my body could still do this kind of physical challenge after a year of treatment. We took on the Miners Track route, which is definitely not the easiest. The weather conditions were awful on the day, it was around three degrees and there was continuous, torrential rain. No amount of waterproof clothing would have stopped us being soaked through, but the hipflask of whiskey and soggy peanut butter sandwiches definitely helped push us to the top! We have so far raised more than £3,500 for Bowel Cancer UK. As well as raising money for this important charity, I did it as a personal challenge too. While I’m still in treatment and dealing with all the side-effects, it was a big achievement for me. In September 2017, months after going to the doctors repeatedly with symptoms, I was diagnosed with advanced bowel cancer. Two days later, I had surgery to remove a large part of my bowel and the surrounding lymph nodes. This was followed by six months of intense chemotherapy and I am now on long-term maintenance chemo. More than 2500 people under 50 are diagnosed in the UK each year, and last year I was one of those people. I really want to raise awareness of bowel cancer in younger people, so other people don’t have to go through what I have.